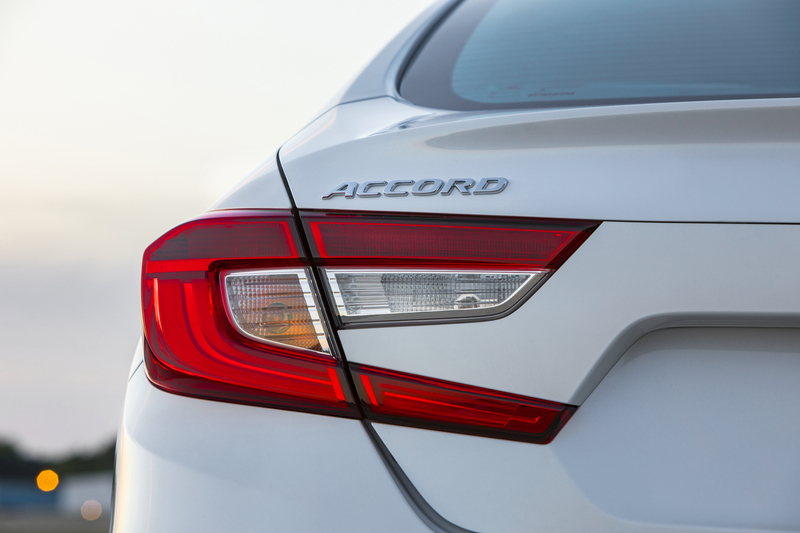 The 2018 Honda Accord has arrived to continue the 41-year history of the iconic automobile. There are two things that allow a car model to last this long: innovation and dependability. For more than four decades, the Honda Accord has made a habit of never letting drivers down—and neither have Honda engineers. This year, they’ve made some restyling efforts, taking everything drivers love about the Honda Accord and building on it. For the 2018 model year, the entire Honda Accord lineup sports new styling with an increased focus on stance and proportion. What’s more, a platform throughout the lineup features a more rigid and lightweight body, a sophisticated new chassis, and a longer wheelbase that contributes to a more spacious cabin with class-leading rear legroom. Under the hood, Honda VTEC Turbo® engines deliver power, potential, and a potent ride feel. The 1.5-liter, DOHC direct-injected VTEC Turbo inline 4-cylinder engine, delivering peak outputs of 192 horsepower and 192 lb.-ft. of torque, is the most powerful base engine ever for the Honda Accord. The available 2.0-liter VTEC Turbo engine provides impressive peak outputs of 252 horsepower and 273 lb.-ft. of torque—the highest torque output for any Honda Accord ever. We haven’t even talked about the updated infotainment system or the comprehensive safety features. To see all that the 2018 Honda Accord has in store, head into Keyes Honda today. Don’t forget to ask about all of the new 2018 Honda vehicles available here at our dealership near Santa Monica, CA.